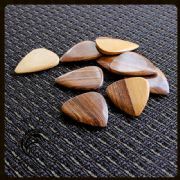 We recommend Pale Moon Ebony for Acoustic Guitar & Archtop Jazz Guitar. 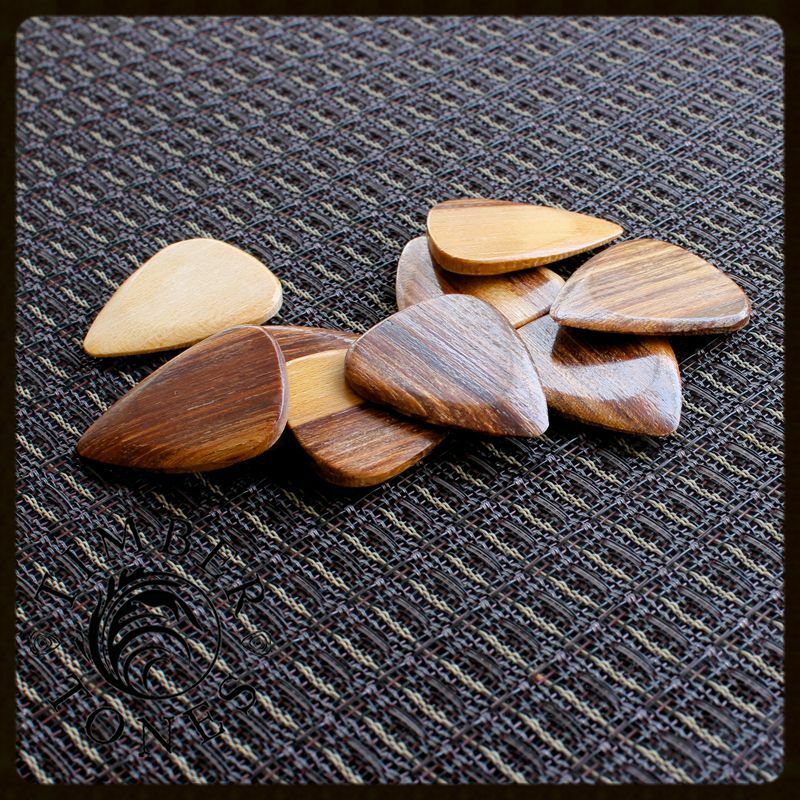 Pale Moon Ebony has a soft Golden yellow timber with much harder dark streaks running through it. 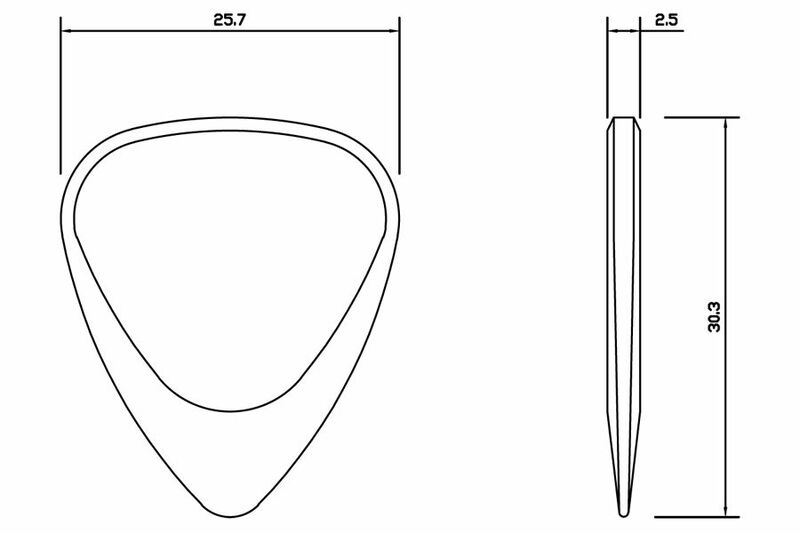 The Tone is dependent upon the colour of the timber at the Tip. 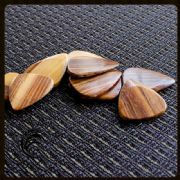 A yellow soft tip will add some warmth whilst the harder brown timbers will add some brightness to the tone. 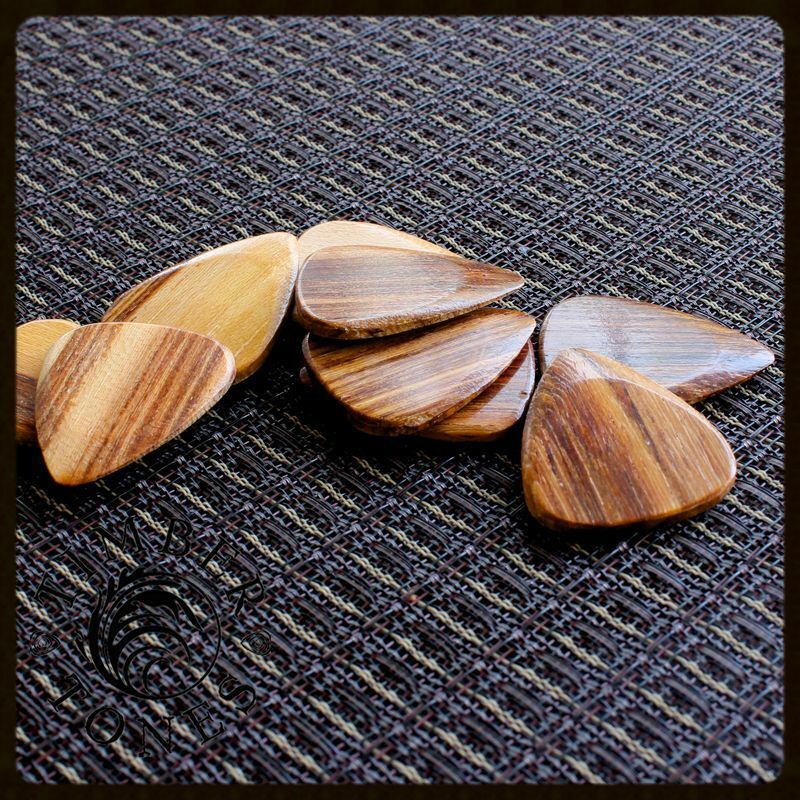 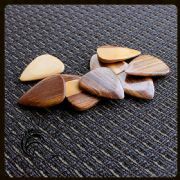 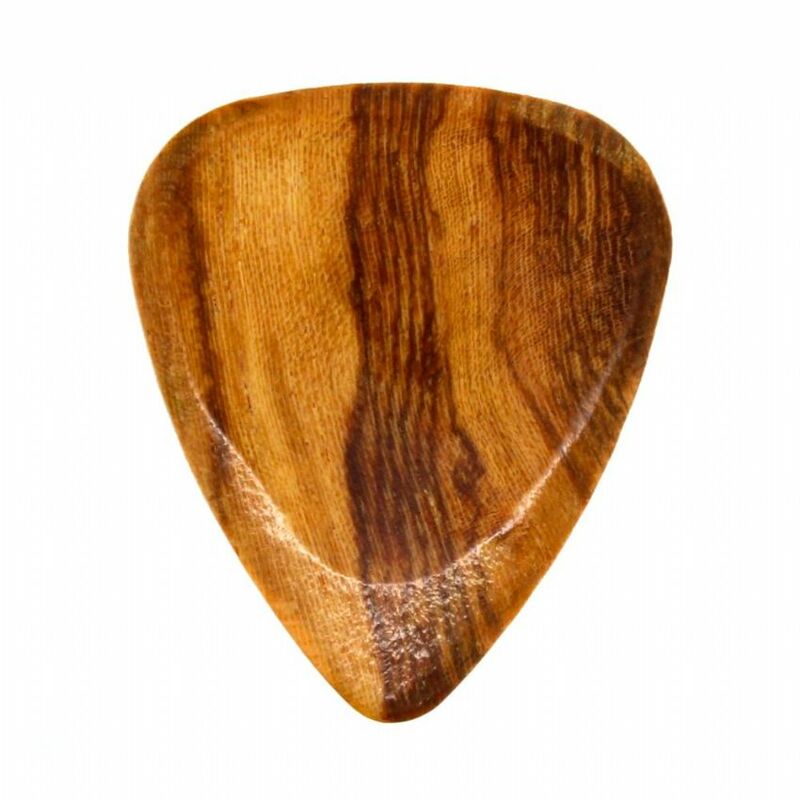 This pack contains 1 Pale Moon Ebony Timber Tones Guitar Pick.